Brandon joined Chicago Capital Partners, LLC in 2013 and is responsible for business development and portfolio management. He utilizes his vast operating and finance experience to identify and assist corporate acquisition opportunities. Brandon founded Plura Financial Solutions in 2010, an online matchmaker between banks and small businesses seeking debt. Brandon also served as CFO & COO at Chicagoland Beverage Company, a regional beverage distributor. 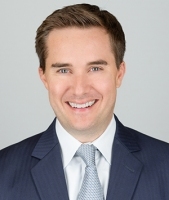 His prior experience also includes serving time in the GE Antares workout group from 2008-2010, and various commercial banking and leveraged finance roles at Merrill Lynch from 2001-2008. Brandon earned a Bachelor of Science in Finance from Michigan State University in 2001, and an MBA in Marketing & Entrepreneurship from the Kellogg School of Management at Northwestern University in 2009. Brandon has been a frequent guest speaker at Northwestern’s Entrepreneurship & New Ventures class, and made several guest appearances on MSNBC discussing financing options for small businesses.